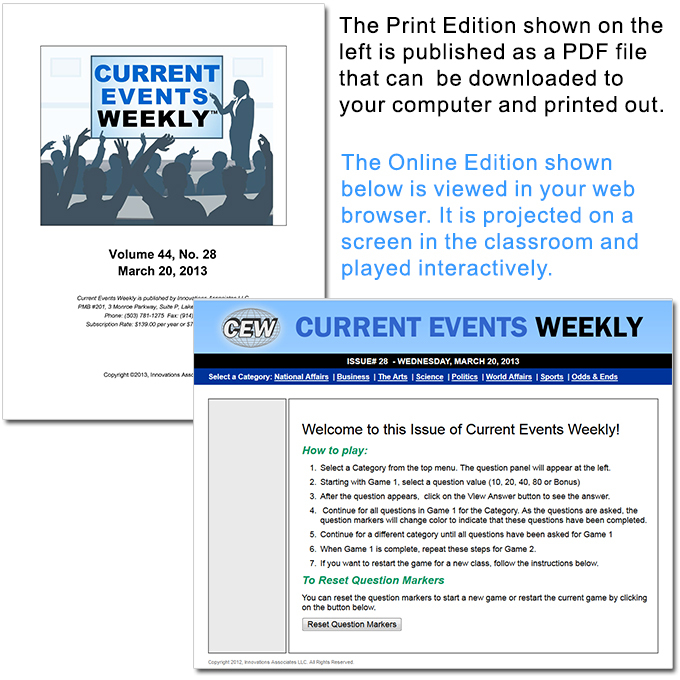 Current Events Weekly is published weekly throughout the school year. New issues are available on Wednesdays. 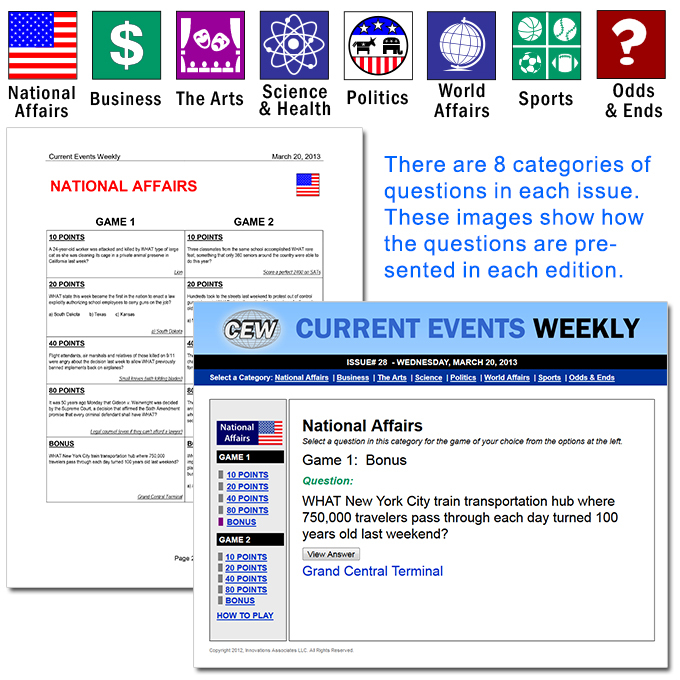 Each issue has 80 questions about notable events that occurred over the previous week. Two different editions are published. Each issue contains 8 categories with 10 questions in each. Both editions use the same questions and categories. The Print Edition shows all the questions and answers in a category on one page. The Online Edition displays questions one at at time based on the user selection. 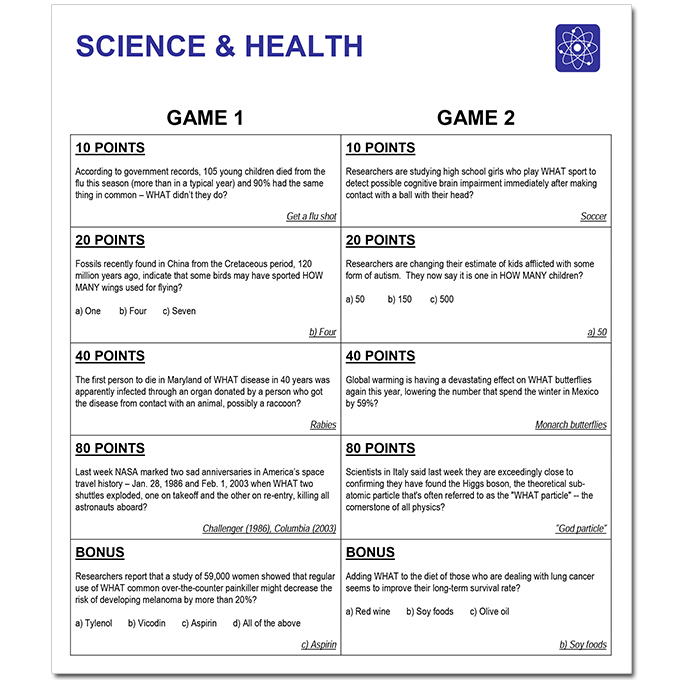 Here is an example of the questions in the Science & Health category. The questions are arranged in two sets, each with 5 questions. The questions are assigned point values that correspond to the level of difficulty. The questions can be multiple choice, true/false or simple question and answer. 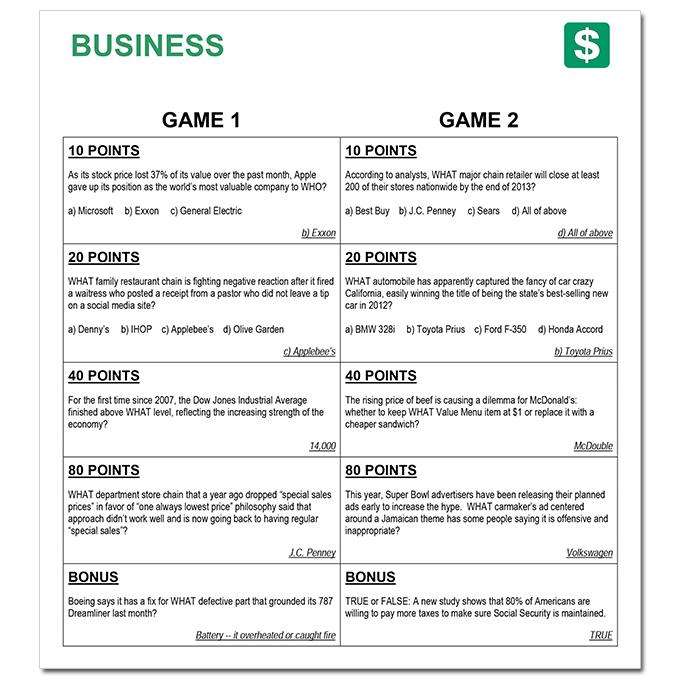 This page shows examples of each type question from the Business category.